A few years back Daniel Pink wrote about emotionally intelligent signage in A Whole New Mind. It's the idea that we have choices when we create signs, and that if we create them with how humans will react to them in mind, we will likely be more successful. More recently, Thaler and Sunstein wrote about the idea that we can subtly "nudge" people into behaviors that are more productive for them - and for society. To me, a lot of it comes down to respect, and to making the conscious choice to assume that people will, more often than not, make a good choice rather than a bad one. In general, I think my school does a pretty good job with this. Compared to many high schools of our size, we give our students a fair amount of freedom, and assume that - with help - they will usually make the right decision. But that doesn't mean we can't improve. Please get out your Cell Phones, iPods and Electronic Devices and use them to enhance your learning during class. I felt it sent a much better message to our students. Regrettably, I still see many of the "no cell phone" signs around the building (in fact, I took the above image today), yet none of the "use them to enhance" signs. I was reminded of this issue because we have new digital signage around the building this fall. Typically the slides are created once a week, with occasional additions or subtractions during the week. We are now in Week 5 and I believe this is the only slide that has appeared every day this school year. Let me be clear, I think it's important that we have an open campus and I think it shows respect for our students. 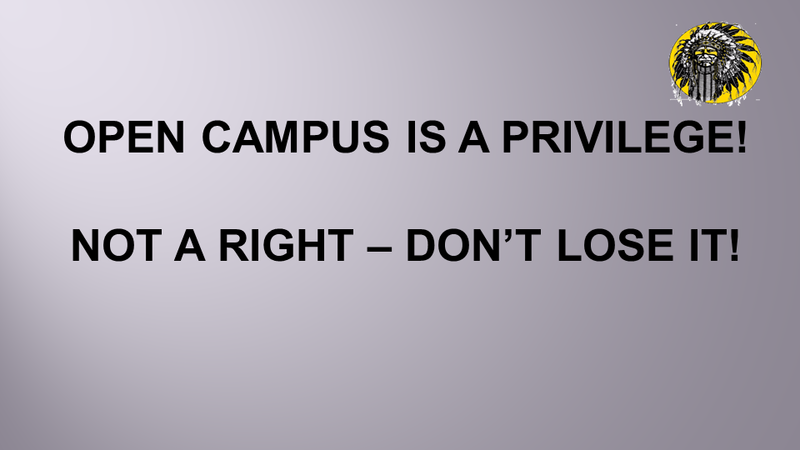 I also agree that some students struggle with this freedom and so therefore need some help managing this, which sometimes means they have their open campus privileges temporarily replaced with Study Center until they get the hang of it. Having said that, I'm not a fan of the above slide (or having it play over and over again on the digital signage). I think there are a variety of ways we could communicate this message in a more positive, emotionally intelligent way. Here's one, although you can probably come up with some better ways. I think this communicates essentially the same message, only in a much more positive, respectful way. The way we currently have it phrased, it's threatening: "screw up and we'll take it away." Phrased this way, it assumes that most students will handle the responsibility well (and 98% of them do). Our custodians work really hard. Let's help them out by enjoying our food and drink in the cafeteria, and cleaning up any spills. Thanks! I think a little respect goes a long way. Karl - I love this idea! 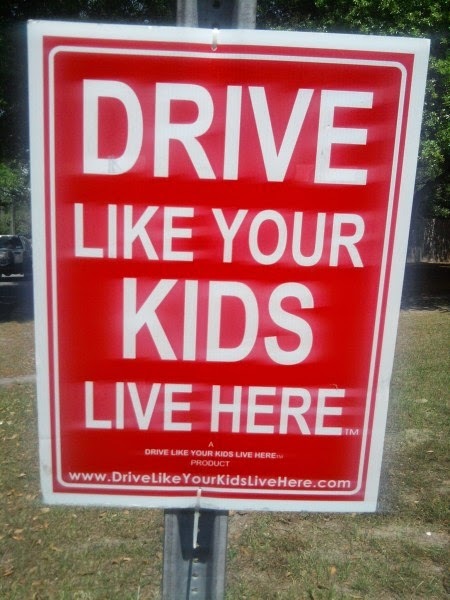 Thinking about how I can utilize this concept with my own children. Love your initials KF :-). Definitely, students (and adults) can be distracted by their devices, but that's not really the point. We don't have signs up saying "no books allowed in class", or "no daydreaming in class", or "no doodling in class." My point isn't that if students are participating in a meaningful learning activity and they get distracted by their devices (or anything else), we shouldn't bring them back to the activity. My point is that they deserve a level of respect that includes an assumption that they will make the right choice more often than not, and that also gives them some reasons to make that right choice.